Dawn Robinson is an amazing young woman is an recently becoming the first para-athlete to participate in the Upper Township Beach Patrol’s MS Race. Bacharach would like to recognize an amazing young woman named Dawn Robinson for recently becoming the first para-athlete to participate in the Upper Township Beach Patrol’s (UTBP) MS Race. 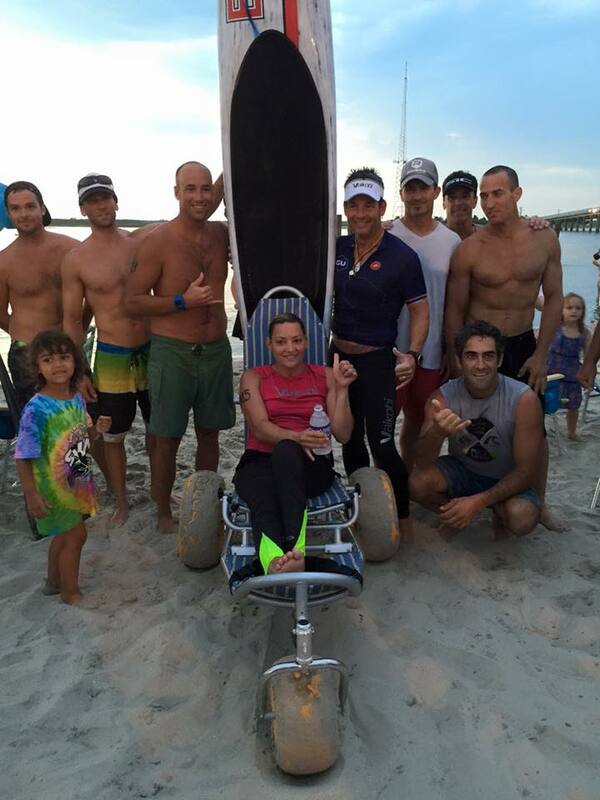 Dawn participated in the five-mile paddleboard race along with non-challenged athletes, including lifeguards and experienced paddlers. Dawn is a member of the OC Swim Club’s Unified Team. The OC Swim Club was launched by Bruckner Chase and his wife Michelle Evans-Chase to provide a safe, positive opportunity for people to experience the water. In addition to working with non-challenged athletes at a wide range of levels, the OC Swim Club, in partnership with Bacharach, trains athletes with physical challenges. In 2013, after being approached by his sister-in-law Becky McGill, a Bacharach PT working with spinal cord patients, Bruckner created a post-therapy swimming and paddling program for athletes with spinal cord injuries that would allow Bacharach patients to participate in aquatic sports in the open waters. This program is called the Unified Team and is open to current and former Bacharach patients at no charge and para-athletes not affiliated with Bacharach at a minimal cost.